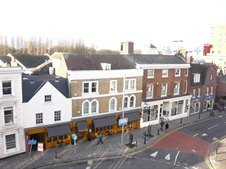 We have recently completed the sale of a mixed retail, residential and office investment adjoining Kingston town centre for a sum in the region of £7.1 million. The property benefits from river views and occupies a commanding position. The buyers were a private family trust. Bob Cattaneo said, "This sale demonstrates the strong demand from investors to acquire prime location sites in the area."